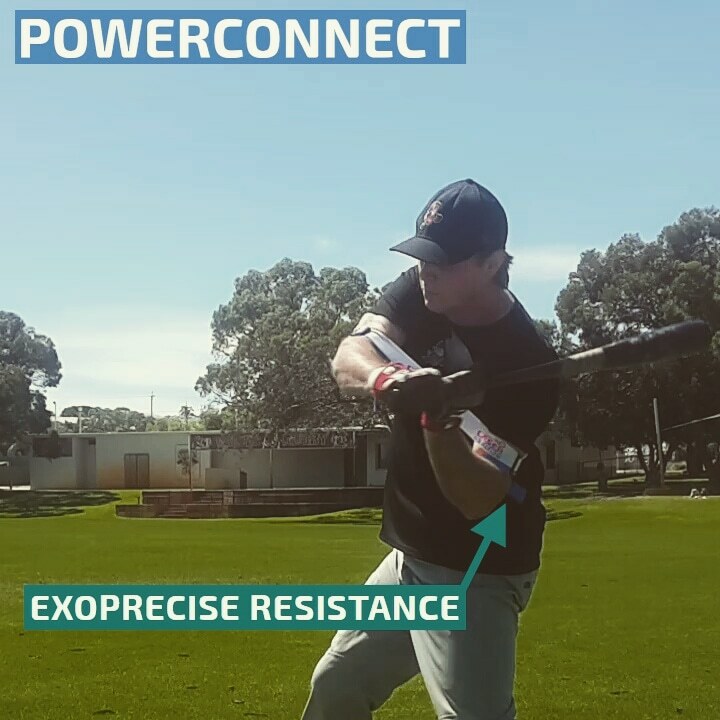 Our patented Laser Power Swing Trainer exerts 360-degrees of Exoprecise Resistance, simultaneously expanding, contracting, and morphing to your body’s natural motion, as the movement of your elbows activates a pushing force; strengthening precise batting muscles, triggering bat speed, and maneuvers your upper-body to train “connected” mechanics. 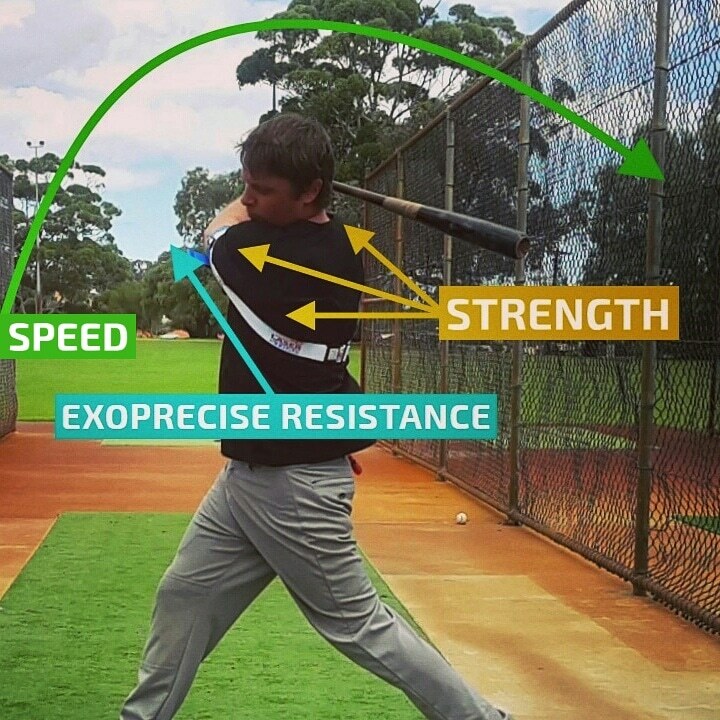 You’ll enjoy the feel, of a powerful and precise swing. 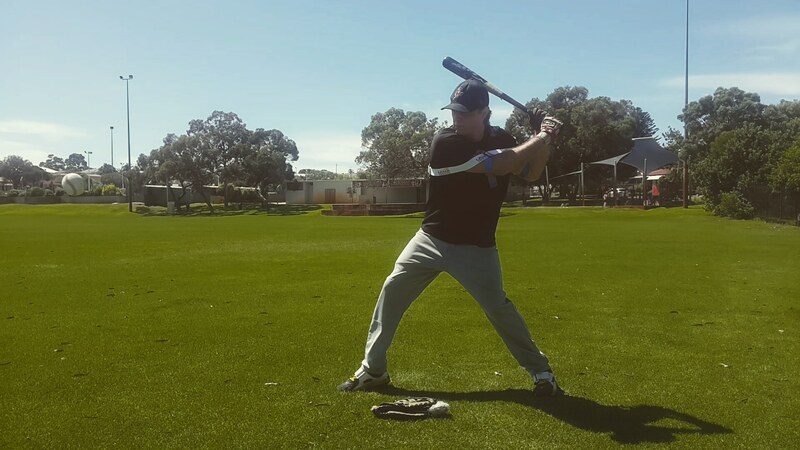 The outdated, “Sport Specific” training method mimics the body’s natural swing motion, attempting to improve performance, for example, swinging a weighted bat, or hitting weighted baseballs. 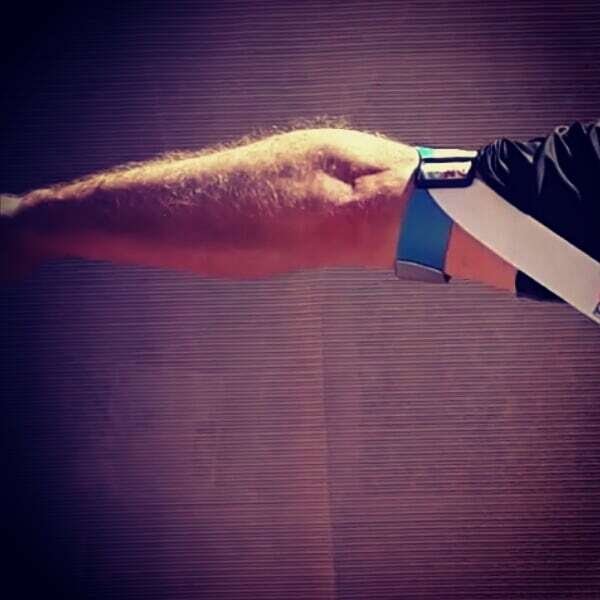 Sport Precise training does not mimic, nor, is it specific; it is precise! 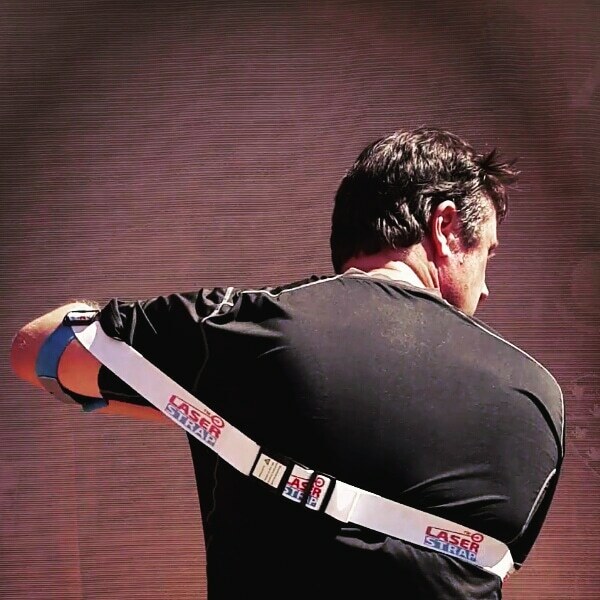 Our Laser Power Swing Trainer accommodates a world-first Sport Precise training method. 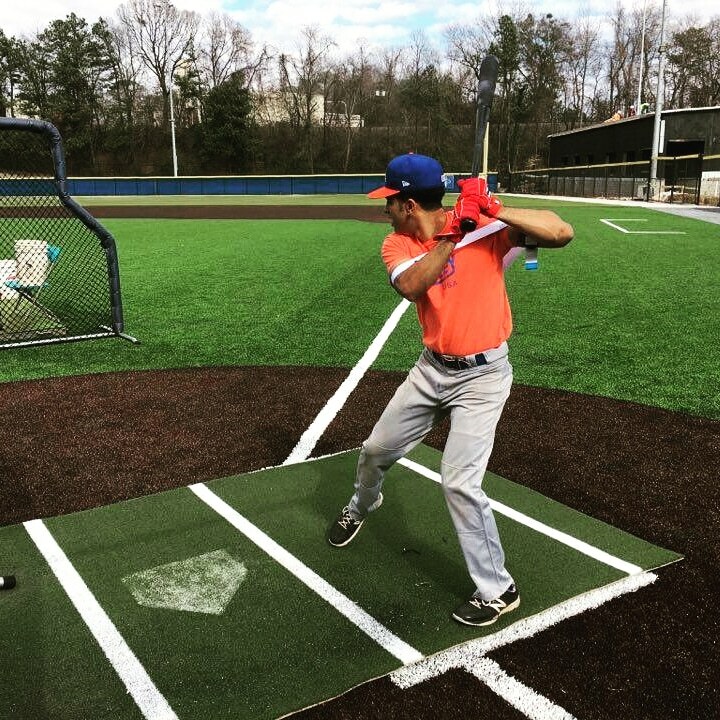 Activating and strengthening precise power hitting muscles, improving bat speed, and mechanics; throughout regular batting practice. 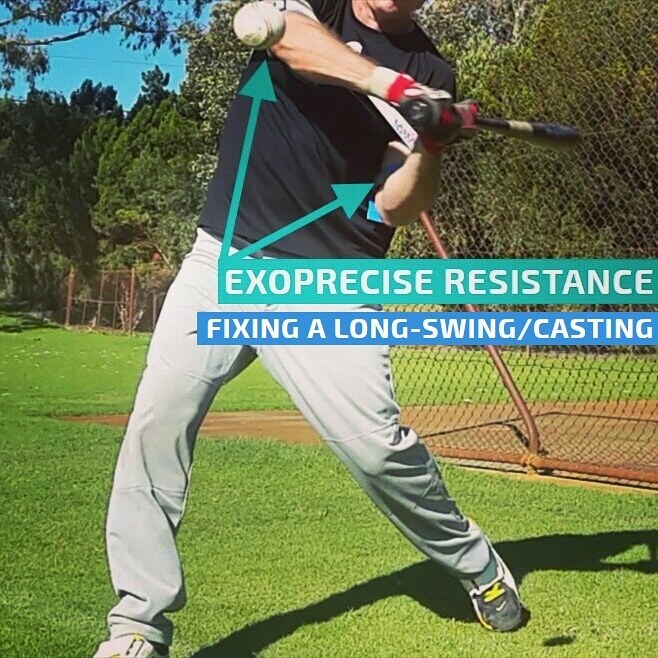 Throughout your swing, our hitting trainer exerts the precise amount of resistance to your elbows, navigating the optimal distance from your body; improving mechanics, and fixing mistakes. 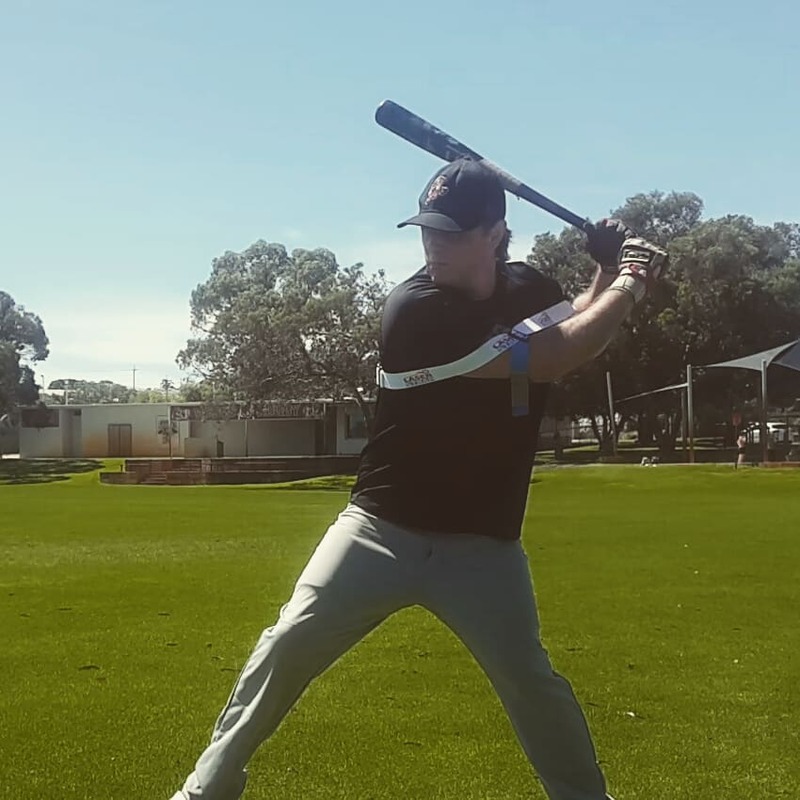 Our swing trainer provides a full range of motion for batting practice, throughout repetitive and “automatic” drills (hitting without thinking); critical to activating the “automatic” power hitting muscles. 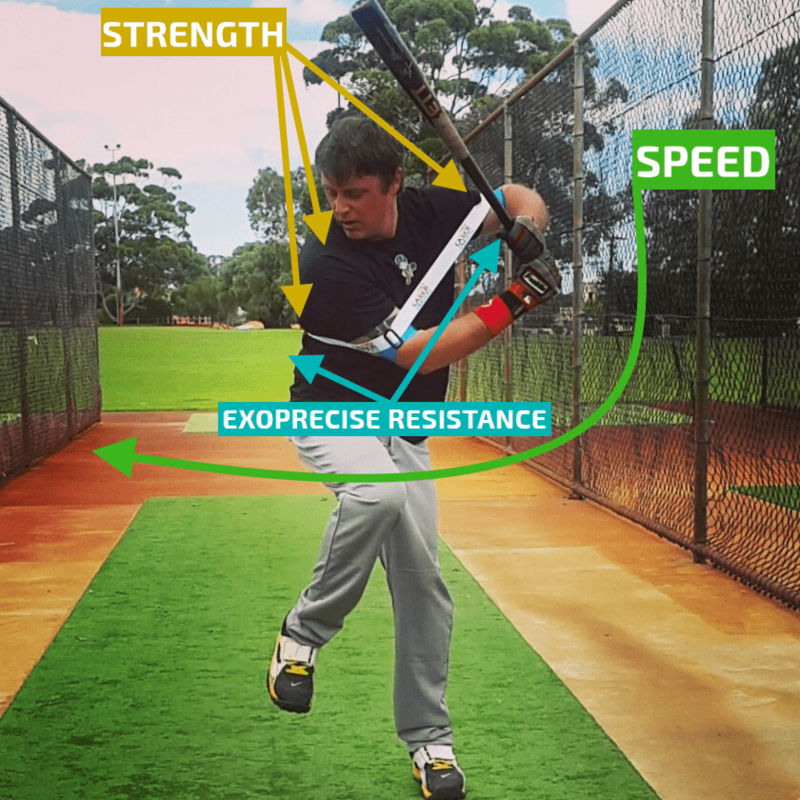 Throughout your baseball and softball swing, movement of the elbows away from your body creates an outward pushing force, producing the precise amount of resistance to strengthen “automatic” power hitting muscles. 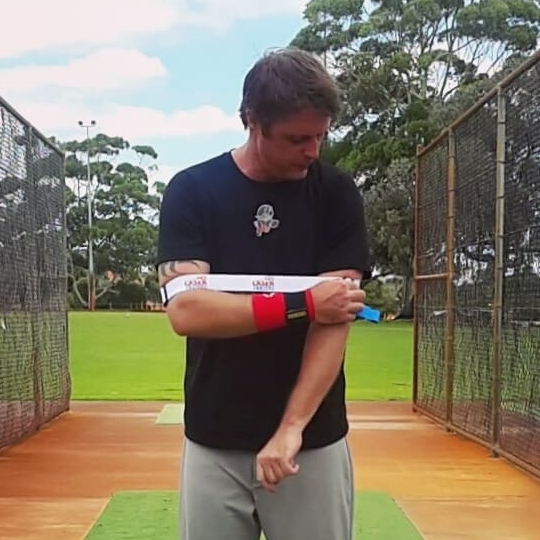 At the time your elbows reach the apex of a movement away from the body, exerting the maximum pushing force, releasing from resistance accelerates the return. 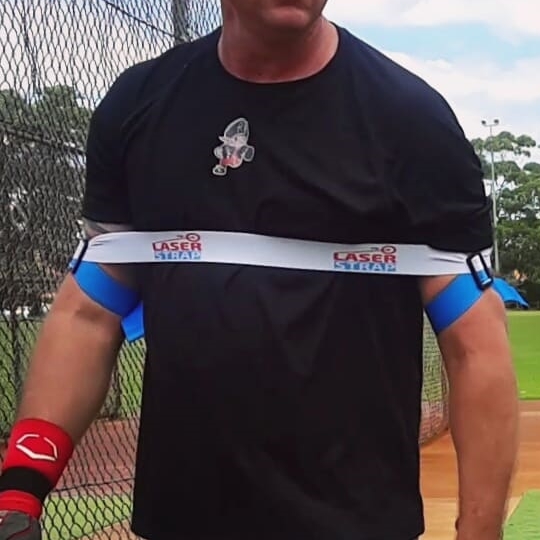 Our batting trainer produces a precise amount of resistance (Exoprecise Resistance), using a silky-smooth, lightweight, and intuitive design; accommodating an unrestricted swing throughout your batting practice. Applying a circumference of ExopreciseResistance, surrounding the torso, positioning below your chest; or mid-chest for well-endowed women. 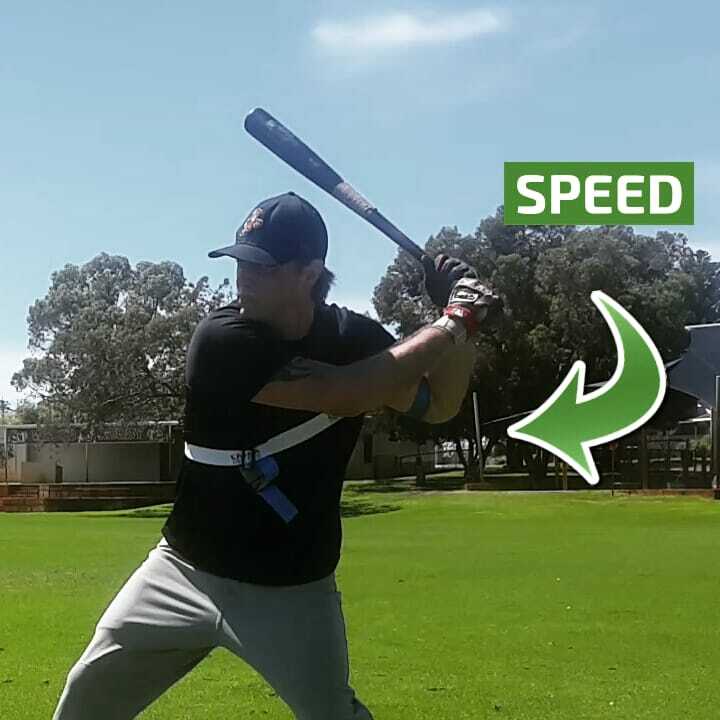 Delivering a full range of motion for hitting, responding to your body; simultaneously expanding and contracting, advancing your strength, bat speed, and mechanics. Delivering a simple solution to adjust the size and resistance settings, accommodating to extra-small and extra-large players. 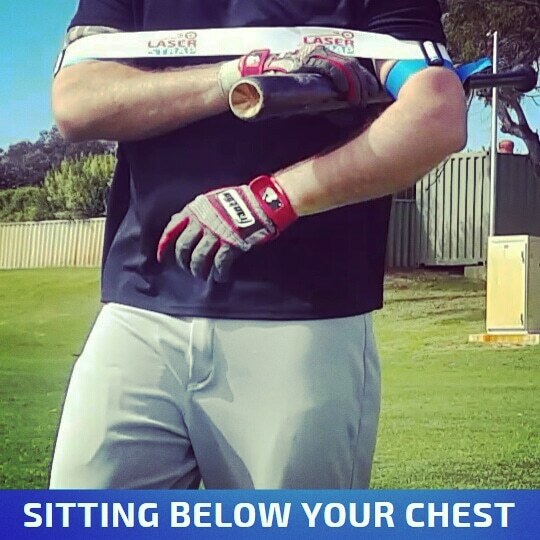 Adjust the size for a snug-fit, anchoring the ExopreciseMorph throughout your explosive swing. Stretch, and slide your arms inside. 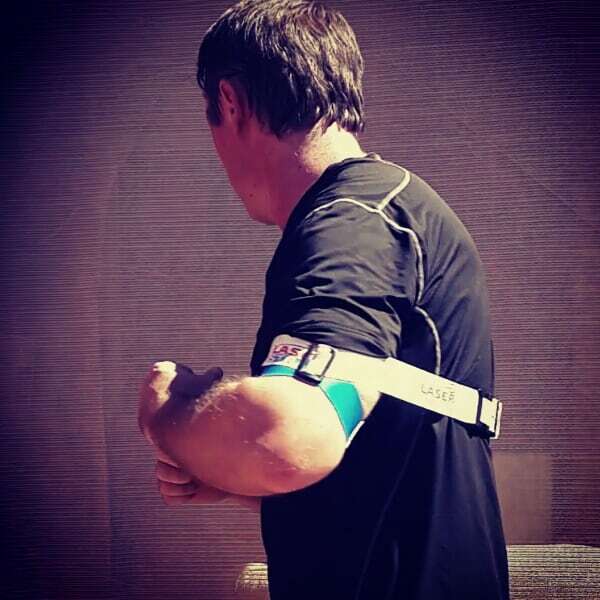 For best performance position on the skin, directly above your elbows, alternatively, wear around your sleeves. 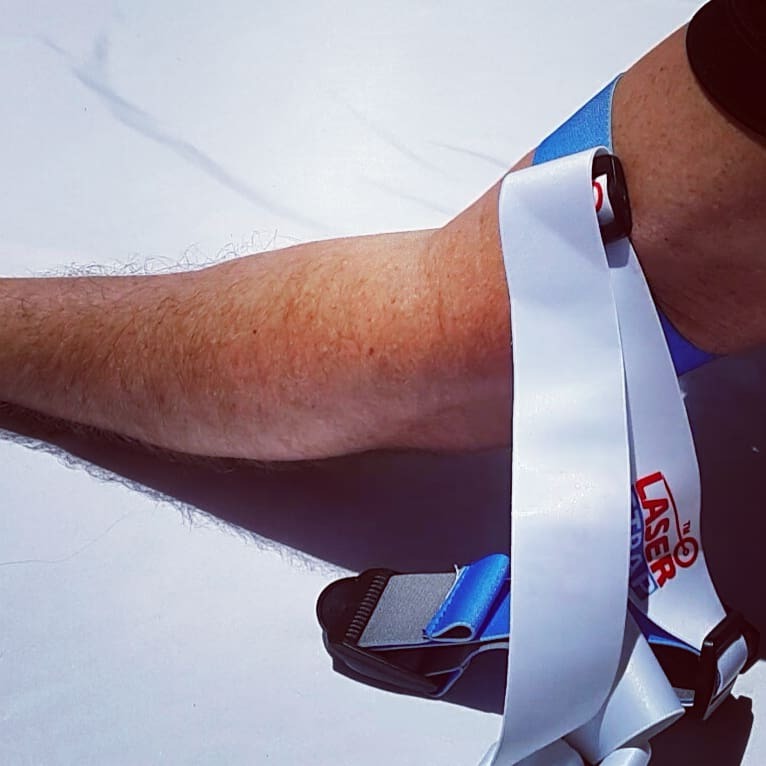 Sliding and aligning each ExopreciseAnchorX to the hip bones, streamlining the performance of your Laser Power Swing Trainer. 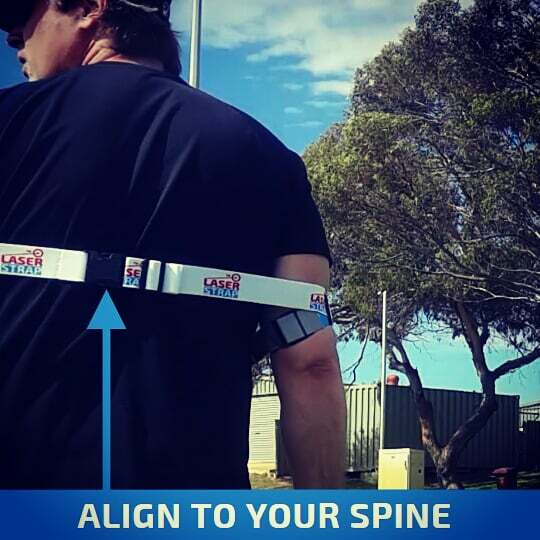 Secures the Exoprecise-Morph around your torso, aligning to the spine, improving balance and performance. Mashing! 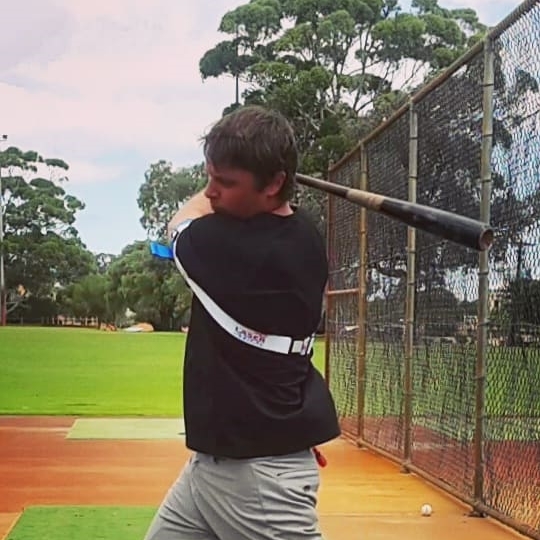 Barreling everything, with backspin pull-side; not getting his usual hook-spin…gave that look of, oh I felt that…it was impressive, our head coach kept looking at me and, raising his eyebrows. 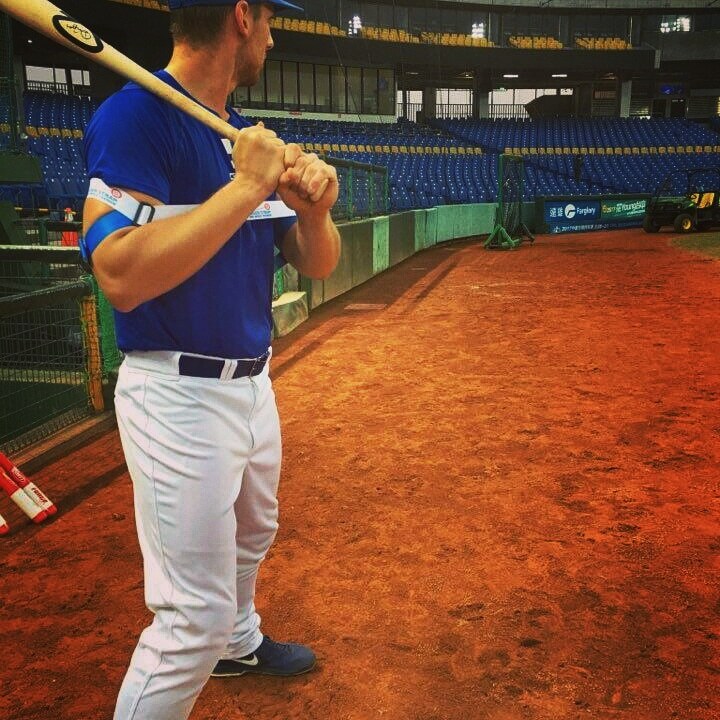 The swing trainer is sweet, every guy on the team is ramming the ball. 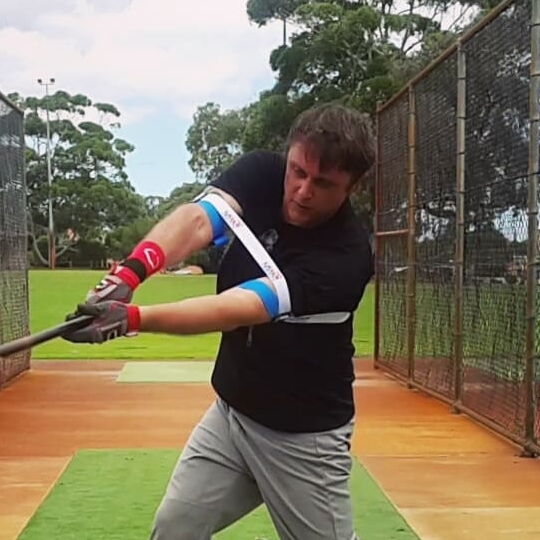 Our Laser Power Swing Trainer improves bat speed, strength and mechanics. 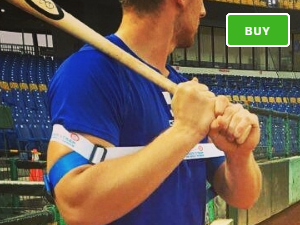 Seamlessly integrate our baseball hitting tool into your batting practice. 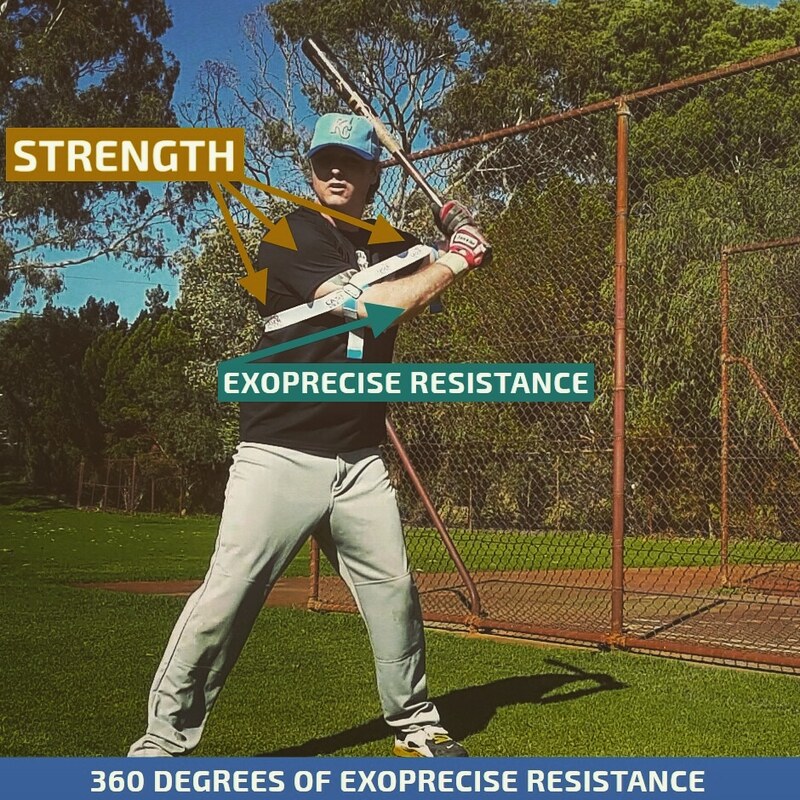 Exopower the science of baseball power swing batting practice. Quickstart guide for sizing, and fitting. Available in PDF, video, and image formats.